If you want your PC case to make a statement, to show off some graphic design flair above and beyond the industrial designer's flare, then NZXT has been busy pushing out special edition themed H700(i) cases over recent weeks and months. On Twitter a few hours ago NZXT announced that stocks of the H700i Ninja and H700 PUBG cases are now available and shipping. These H-Series cases were launched quite recently, in May this year. So it is good to see that pre-order customers won't have to wait any longer and others will be able to purchase these now. The H700i Ninja Edition case ($249.99) was designed in collaboration with world famous streamer Tyler 'Ninja' Blevins. 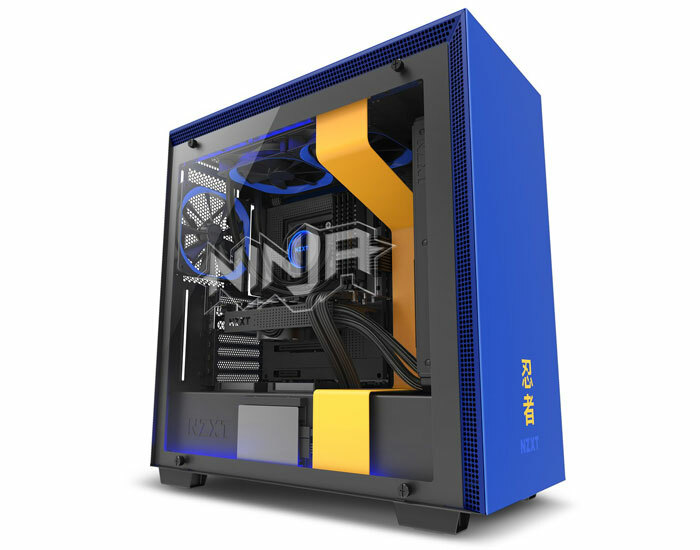 It features an iconic Ninja design featuring signature artwork and personally-selected colour theme, a radium-etched tempered glass side panel sporting Ninja logo, two exclusive Ninja-themed stickers, and the solid mid-tower foundation of the NZXT H700i. As a reminder, HEXUS reviewed the NZXT H700i about nine months ago. The main difference between the NZXT H700 and H700i cases are the extra fan control, RGB control hardware and integrated LEDs with the latter. NZXT's Limited Edition PUBG licensed case ($199.99) is described as a "stunning recreation of one of PUBG's most iconic items, the air drop supply crate". Only 2,000 of these will be built and they are a USA exclusive. 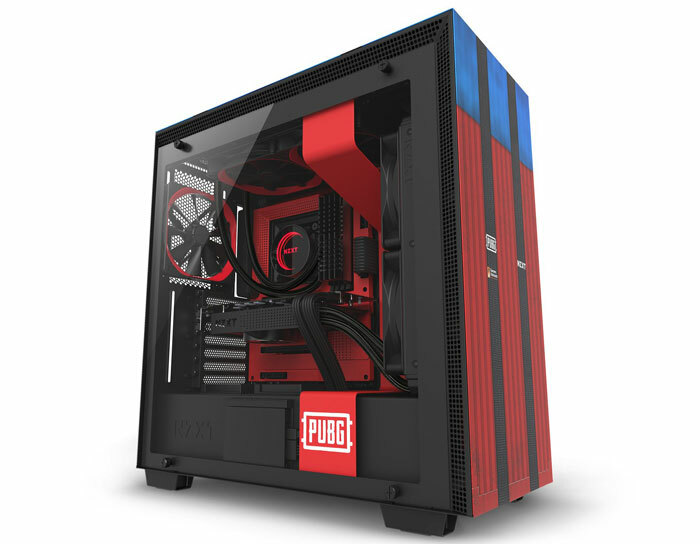 The PUBG case looks very different to the regular, minimalist, solid colour H700 but shares the specs and build quality and the tempered side panel. In this example the transparent side reveals a contrasting red ribbon PUBG logo section within. 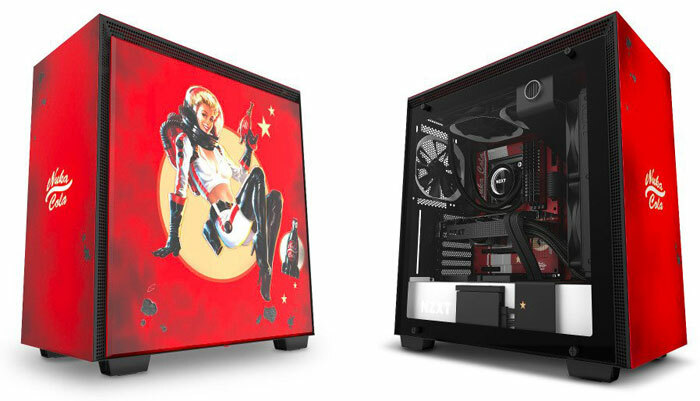 A couple of days ago NZXT announced the H700 Nuka-Cola, "the Ultimate Fallout-themed PC case". 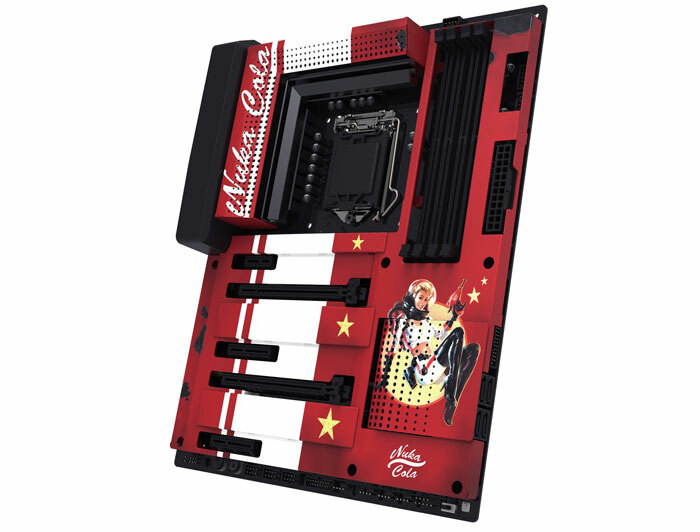 Again based upon the H700, this chassis features classic Coca-Cola style colours and lettering but altered to pay homage to the Fallout universe and not pay the Coca-Cola Corporation. If you look inside the tempered glass window of my photos you can see that NZXT has installed an optional Nuka-Cola all-metal cover for its N7 Z370 motherboard, to complete the ultimate Fallout-themed build. 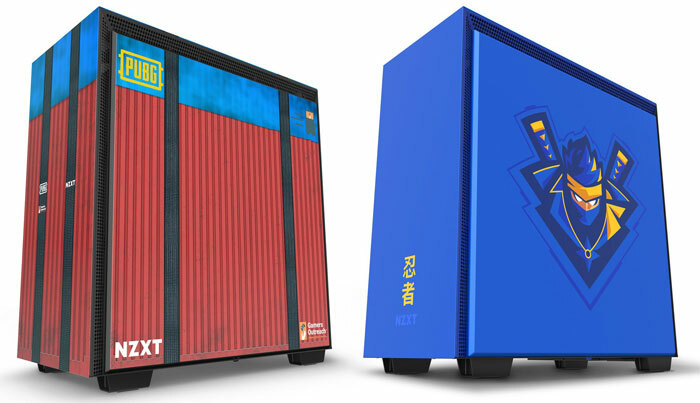 The H700 Nuka-Cola costs $299.99 and is a limited run of 2,000 units. NZXT's N7 Z370 Nuka-Cola Cover is priced at $49.99. Both these products are available worldwide this month with the case already said to be available in the US. You can read more about the standard edition NZXT H700 and H700i cases on the official NZXT H-Series product pages. NZXT used to be known for sophisticated and tasteful cases. Every NZXT I can think of has been very plasticky tat, half of which was Razer branded (designed by gamers, for gamers) and everything had either a door front or an utterly faceless front. At least they're offering people the option for something different…. not that I'm likely to ever buy one, myself. Then again, I'd have said the exact same thing about Corsair…!